Gift Shop | Hardy Buoys Smoked Fish Inc.
Our Gift Shop has many unique west coast souvenirs and food items. Our live crab and lobster tank is a real treat. Our live tank is stocked with Dungeness Crab caught from local waters and delivered daily from local commercial crab fishers. 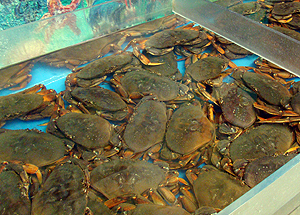 Crab range in size, some well over two pounds! Sold by weight. Lobsters are flown in, available by advance order only. Didn’t get as much salmon as you had hoped? Our store always has a variety of smoked and fresh-frozen fish on hand. All items in the gift shop are available in-store only. 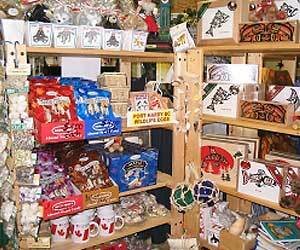 Feel free to stop in and check out all our lovely goodies.